To save time, you can also use a store bought 9 inch graham cracker crust! While making the graham cracker crust, soften ice cream. Combine crushed graham crackers, dark brown sugar, melted butter, and salt in a large bowl. Stir together until mixed and graham crackers are the texture of wet sand. Press graham mixture into the pie pan, evenly coating the entire inside of the pan. Refrigerate for 30 minutes before filling, or bake at 375°F for 5-8 minutes or until crust is lightly browned. Completely cool before filling. 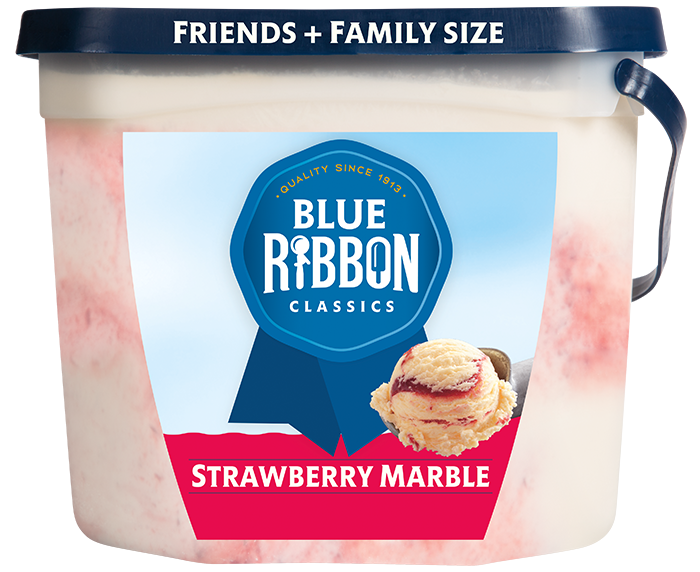 For filling, combine Blue Ribbon Classics® Strawberry Marble ice cream, pink lemonade concentrate, and whipped topping into bowl, stirring until completely mixed together until smooth. Pour pie filling gently into cooled graham cracker pie crust, gently filling. Be careful not to allow filling to go over edges. Place pie into freezer for 2 hours or until completely solidified. 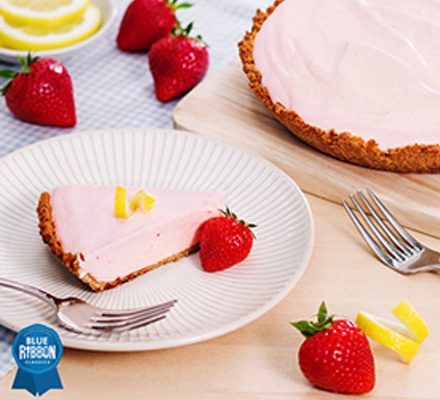 To serve, remove pie from freezer, slice, garnish as desired with strawberries, whipped topping, or lemon peels, and enjoy!